I thought it was going to be a routine physical where I get the normal thumbs up from by OBGYN. I’m only 30. I’m a marathon runner. “Wellness” is literally part of my job title. But as my doctor sat down to review my medical history and current stats, she asked if I would like to get a BRCA test this year. She explained that I qualified for the test because of my mom’s breast cancer diagnosis at age 39. I am on a high deductible plan and I am cautious about how I spend my healthcare dollars. I had heard the test can be expensive – even into the thousands of dollars. What value would I get from the results? I mean, did I really want to know that I have an absolute chance to get breast cancer? My mom is a survivor. She wore her bald head proudly during her two year battle with breast cancer back in the 90s. However, I wasn’t sure I would be able to pull it off with as much zest and style as she did. So I asked my doctor, “What if the results come back positive?” He answered, “You’ll need a double mastectomy.” Gulp! I was not prepared for that. This conversation got me thinking: There must be other women in my shoes. These days almost everyone I know has some family history of breast cancer. So what is the right thing to do in this situation? I sat down with my running buddy, who also happens to be a BCBSNC Medical Director, Dr. Larry Wu, to figure out what this genetic testing for breast cancer is all about. What is a BRCA test? Does BCBSNC cover this for its members? The breast cancer (BRCA) gene test is a blood test that checks for specific gene mutations. It helps determine your risk of developing breast and ovarian cancer. BCBSNC covers the test if you meet a certain risk threshold. If a person is at high risk per BCBSNC medical policy and does not already have cancer, BRCA screening is a preventive benefit for most BCBSNC plans, and covered at 100%, and it is not subject to deductible and copay. For patients like me without cancer, that have a first or second degree relative who had breast cancer under the age of 45 (like my mom) then it will be covered, under my preventive benefit. BRCA has two genes, BRCA1 and BRCA2, and if you have one of them it is a high probability of having breast, ovarian or other type of cancer later in life. 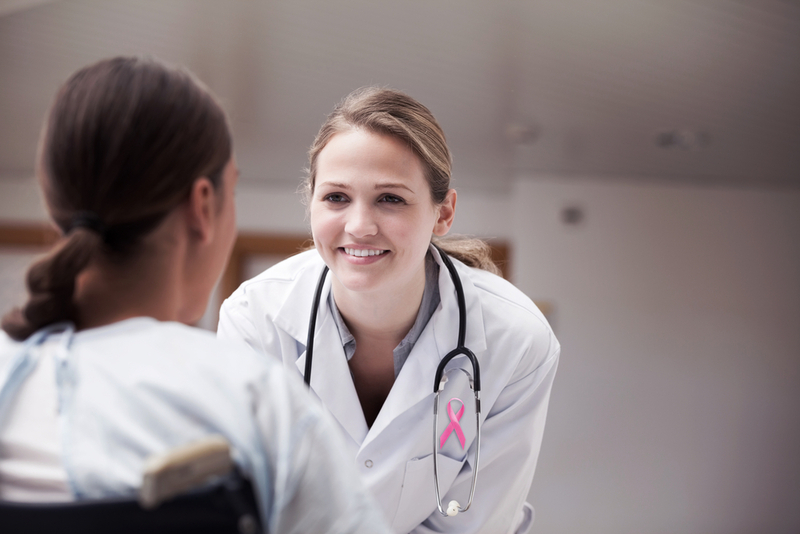 Having a mastectomy can reduce the risk by 85%. Are there are tests that can be done similar to BRCA? There are a lot of other genes – that added to other genetic tests – can indicate risk for breast cancer. The difference between these tests and what BRCA offers is that most other genetic testing (non-BRCA) won’t really change what the recommended course of action will be after the test. What would you suggest as courses of action if your genetic test for breast cancer comes back positive? What are the options? What do we cover? Screening can be done at a younger age and more aggressively with Mammography and MRIs of breasts. If a patient chooses not to have a mastectomy, there is a chemo prevention route: Taking hormones that reduce the risk of breast cancer. The surgical options include prophylactic mastectomy (along with reconstructive surgery), which is basically removing the breasts before you even have cancer. You can also remove the ovaries, which can reduce risk of both breast and ovarian cancer. Is there anything, non-medical, that you can do to reduce your risk? Exercise, maintaining ideal body weight, breast feeding, not smoking – the essential healthy living tips – can help reduce risk, but it won’t take away all of the risk. Resources such as Mayo Clinic and the American Cancer Society go into more detail on how to prevent breast cancer. My conversation with Dr. Wu really made me more open to getting the test. Knowing my results of a BRCA test will help me make a more informed decision on how I can reduce my risk for developing breast cancer.